Differentiate their sentences by encouraging to add adjectives, descriptive words and info to their sentences or keep them really simple. Enlarge, or reduce the size of the book as needed or keep as A4 pages. 2 different styles for printing – individual books style, or easy bulk print and put together style. 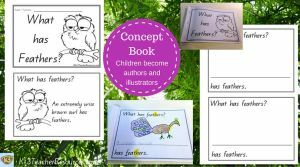 Brainstorm and list animals with feathers as a whole class – – eg. BIRDS ….. penguins, swan, macaw, pelican, duck, chicken, emu, ostrich, peacock, eagle, chicken, lyrebird. Add an additional column to each bird to list adjectives to describe each bird. These can then be used to extend and make their sentences more interesting. 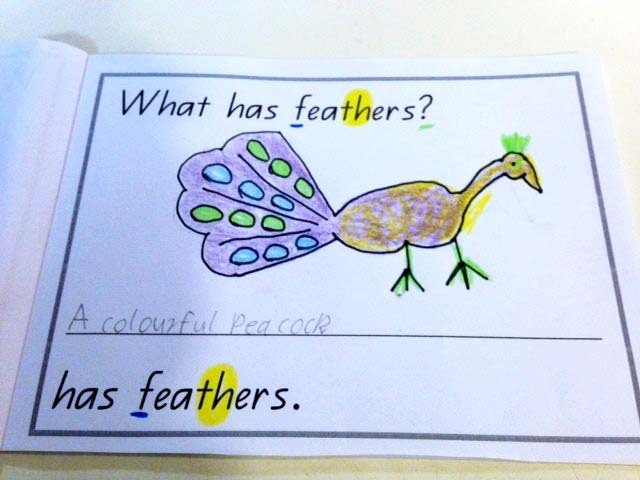 Don’t forget to make a large class copy (usually the coloured one) to have on hand in the class library – each child completes one page for the class copy.